S.-L.Chang, Multiple Diffraction of X-rays in Crystals, series in Solid-State Science, Vol. 50, Springer-Verlag,Berlin-Heidelberg-New York-Tokyo (1984), 300 pages; Russian translation, MIR Publishers, Moscow(1988). S.-L.Chang, X-ray Multiple-wave Diffraction: Theory and Application, series in Solid-State Science, Vol. 143, Springer-Verlag, Berlin-Heidelberg-New York-Tokyo (2004), 431 pages. S.-L. Chang, "Solution to the X-ray Phase Problem Using Multiple Diffraction - A Review", Gordon & Breach Science Publisher, Crystallographic Review 1(2), 85-190 (1987). S.-L. Chang, “X-ray Multiple Diffraction and the Invariant Phases of Structure-factors”, Chinese J. Phys. 23, 181-192 (1985). S.-L. Chang, “X-ray Phase Problem and Multi-beam Interference”, Int. J. Mod. Phys. B6, 2987-3020 (1992). S.-L. Chang, “Dynamical Theory of X-ray Diffraction – A Review”, Proc. of National Science Council: Sciences & Engineering 22, 431-438 (1998). 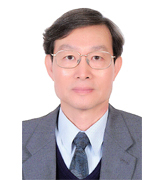 S.-L. Chang, “Determination of X-ray Reflection Phases Using N-beam Diffraction”, in Crystallography Across the Sciences, IUCr; also in Acta. Crystallogr. A54, 886-894 (1998). Y.-W. Tsai, C.-H. Chu, M.-T. Tang, Yu. P. Stetsko, L.-J. Chou, and S.-L. Chang, “Measuring Lattice Parameter of Iron Silicides Using X-Ray Bragg-Surface Diffraction”, J. Appl. Phys., 109, 013514 (2011). Y.-Y. Chang, S.-Y. Chen, H.-H. Wu, S.-C. Weng, C.-H. Chu, Y.-R. Lee, M.-T. Tang, Yu. Stetsko, B.-Y. Shew, M. Yabashi, and S.-L. Chang, “Diffraction-Enhanced Beam-Focusing for X-rays in Curved Multi-Plate Crystal Cavity”, Opt. Express, 18, Iss 8, 7886-7892 (2010). S.-Y. Chen, H.-H. Wu, Y.-Y. Chang, Y.-R. Lee, W.-H. Sun, S.-L. Chang, Yu. P. Stetsko, M.-T. Tang, M. Yabashi, and T. Ishikawa, “Coherent Trapping of X-ray Photons in Crystal Cavities in the Picosecond Regime”, Appl. Phys. Lett. 93, 141105-1—141105-3 (2008). Y.-R. Lee, Yu. P. Stetsko, W.-H. Sun, S.-C. Weng, S.-Y. Cheng, G.-G. Lin, Y.-L. Soo, and and S.-L. Chang, “Multiple-wave Diffraction Anomalous Fine Structure“, Phys. Rev. Lett. 97, 185502-1—185502-4 (2006). S.-L. Chang, Yu. P. Stetsko, M.-T. Tang, Y.-R. Lee, W.-H. Sun, M. Yabashi, and T. Ishikawa, “X-ray Resonance in Crystal Cavities: Realization of Fabry-Perot Resonator for Hard X-rays”, Phys. Rev. Lett. 94, 174801-1—174801-4 (2005). Y.P. Stetsko, G.Y. Lin, Y.S. Huang, C.H. Chao, and S.-L. Chang, "Anomalous Dispersion Behavior of Multiple-wave X-ray Diffraction at Absorption Edges: Determination of Phase Change at Resonance", Phys. Rev. Lett. 86, 2026-2029 (2001). S.-L. Chang, Y.S. Huang, C.H. Chao, M.T. Tang, and Y.P. Stetsko, “Three-wave Resonance Grazing Incidence X-ray Diffraction: A Novel Method for Direct Phase Determination of Surface In-plane Reflections”, Phys. Rev. Lett. 80, 301-304 (1998). Y.P. Stetsko and S.-L. Chang , "An Algorithm for Solving Multiple-wave Dynamical X-ray Diffraction Equations ", Acta Cryst. A53 , 28-34 (1997). S.-L. Chang, H.E. King, M.T. Huang, and Y. Gao, "Direct Phase Determination of Large Macro-molecular Crystals Using Three-Beam X-ray Interference", Phys. Rev. Lett. 67, 3113-3116 (1991). S.-L. Chang and M.T. Tang, "Quantitative Determination of Phases of X-rays from Three-beam Diffraction I. Theoretical Considerations", Acta Cryst. A44, 1065-1072 (1988).